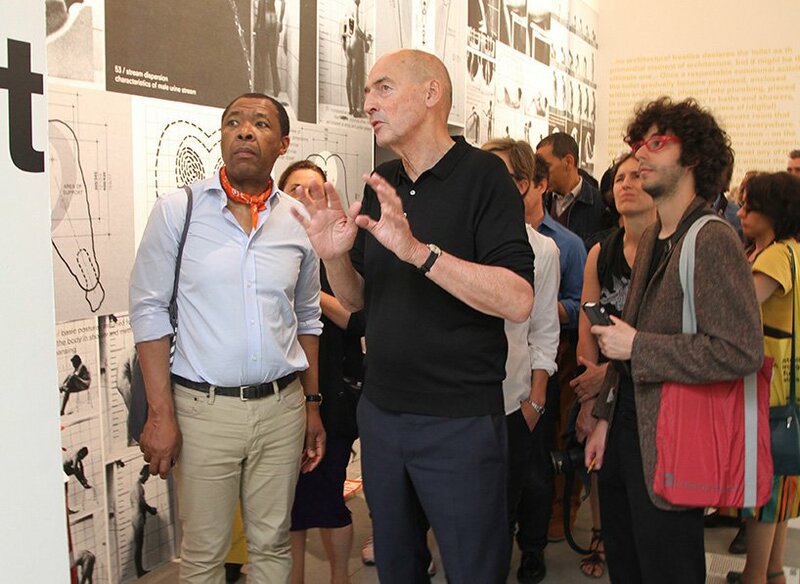 at venice’s 14th international architecture biennale, rem koolhaas’ ‘fundamentals’ consists of three interconnected exhibitions, designed to offer a stark contrast to previous biennale presentations. 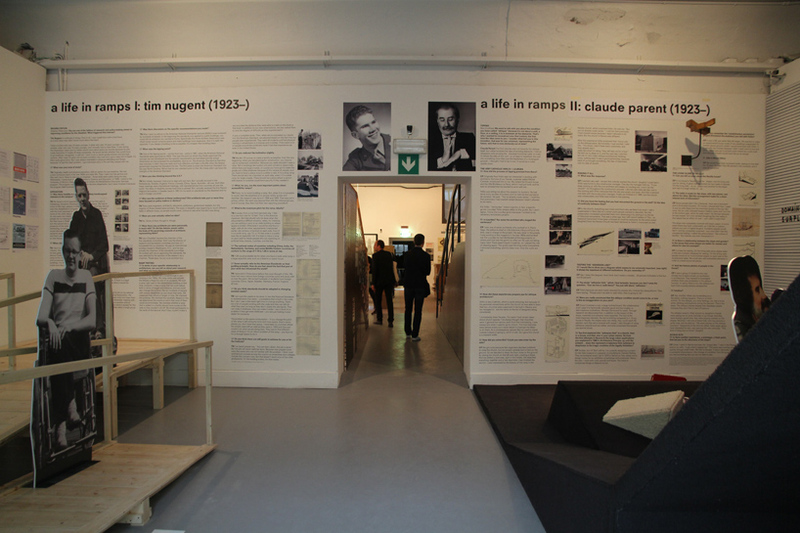 the first exhibition, ‘absorbing modernity: 1914-2014’, challenges national participants to respond to a single theme that examines a century of modernisation. 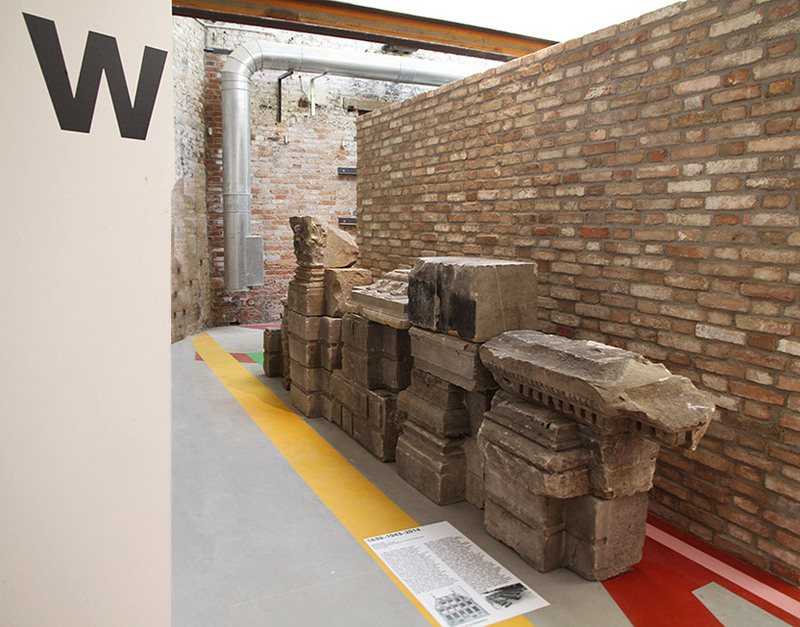 the second, ‘monditalia’ – held within the arsenale – is focusing on italy as an example of a country balancing between chaos and a full realisation of its potential. 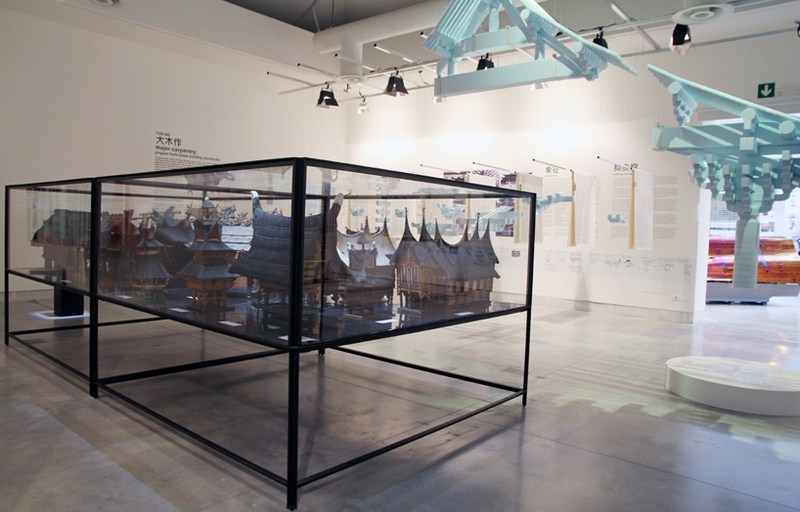 the exhibition, ‘elements of architecture’ (here featured), is the result of a two-year research study in collaboration with the harvard graduate school of design. 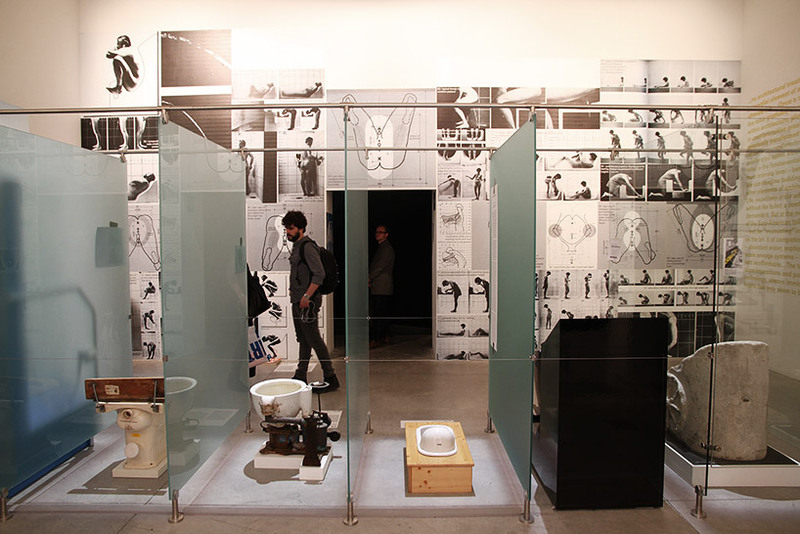 ‘the exhibition brings together ancient, past, current and future versions of the elements in rooms that are dedicated to a single element. 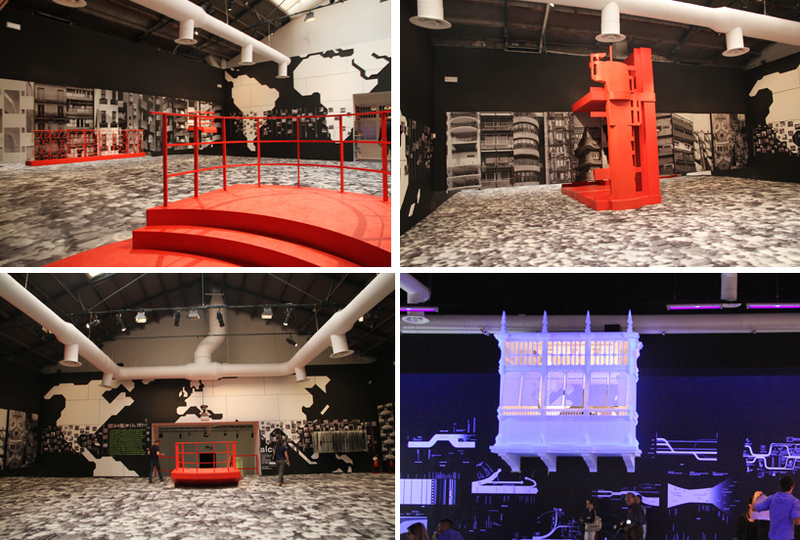 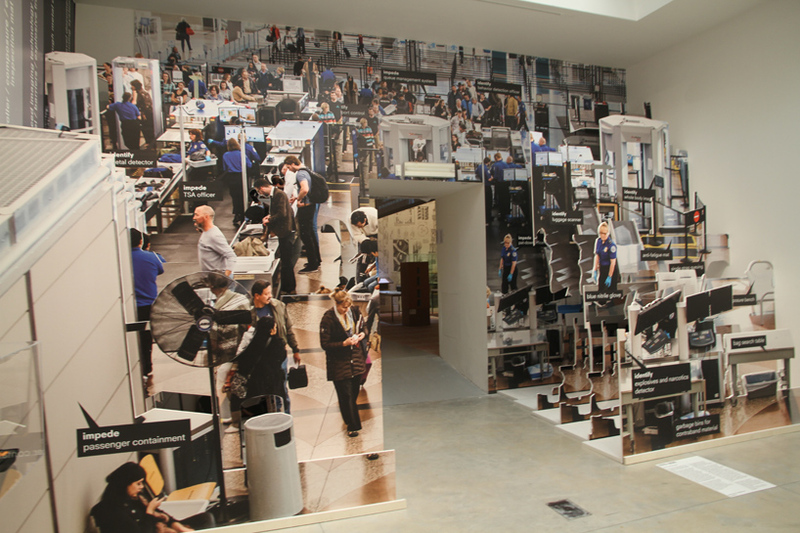 to create diverse experiences, we have created a number of very different environments – archive, museum, factory, laboratory, mock-up and simulation’, explained rem koolhaas. 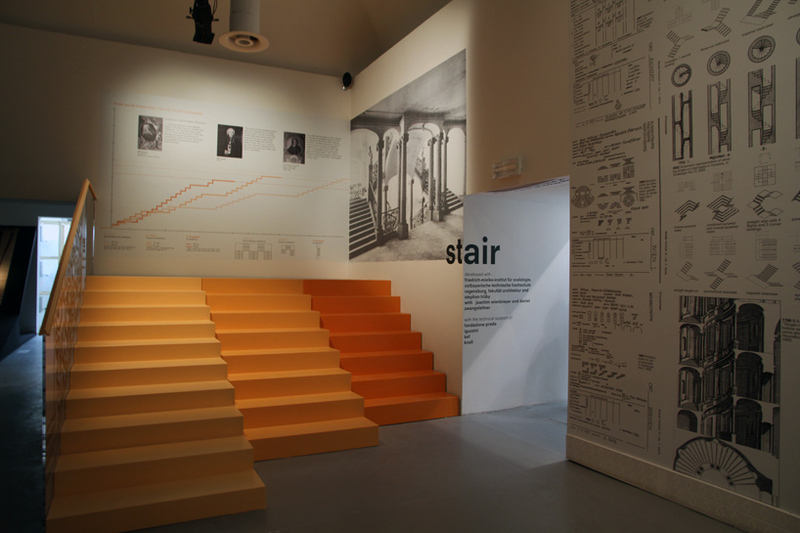 envisioned as a ‘research-based exhibition’, koolhaas’ display considers in great detail the core principles of the buildings we occupy on a daily basis – used by both architects and the general public. 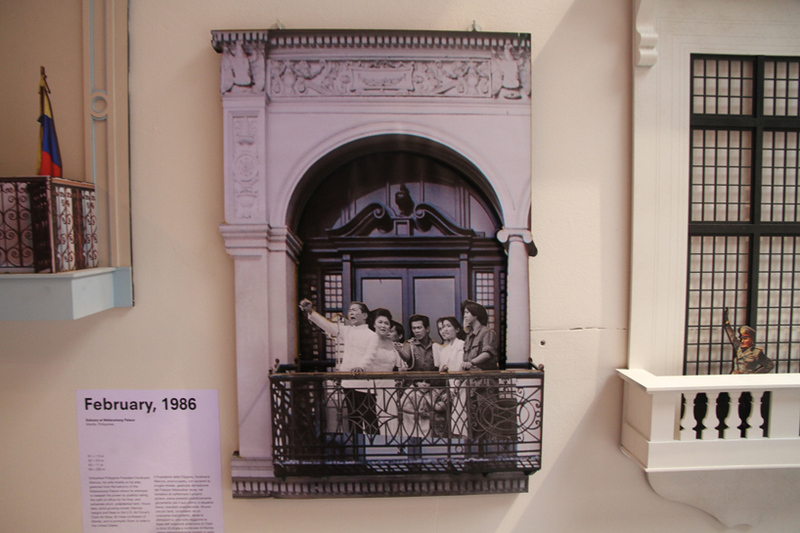 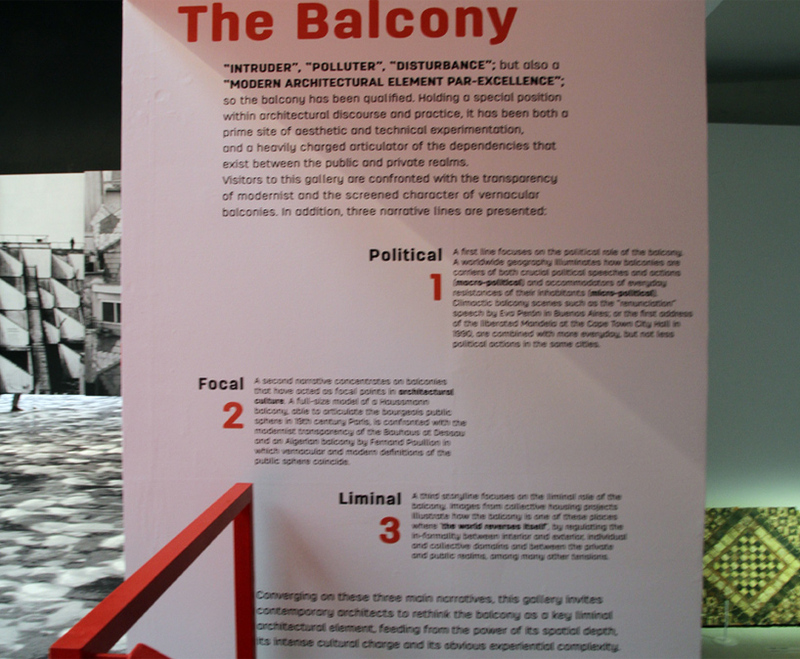 the exhibition serves as an encyclopaedia, paying specific attention to important building components: the floor, the wall, the ceiling, the roof, the door, the window, the facade, the balcony, the corridor, the fireplace, the toilet, the stair, the escalator, the elevator and the ramp. 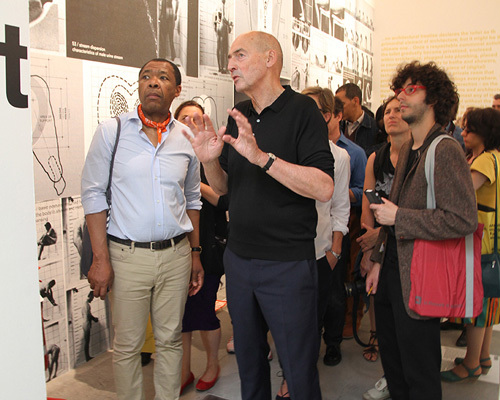 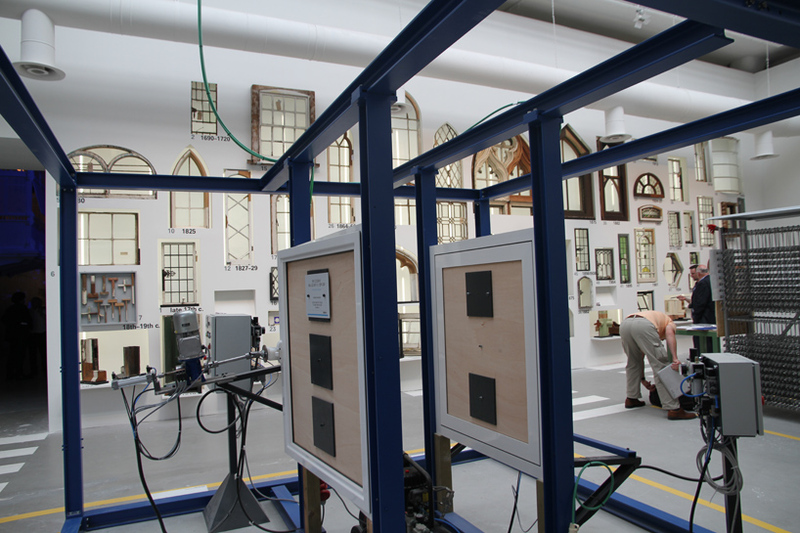 to each element koolhaas has devoted a room, a sort of cabinet of curiosities. 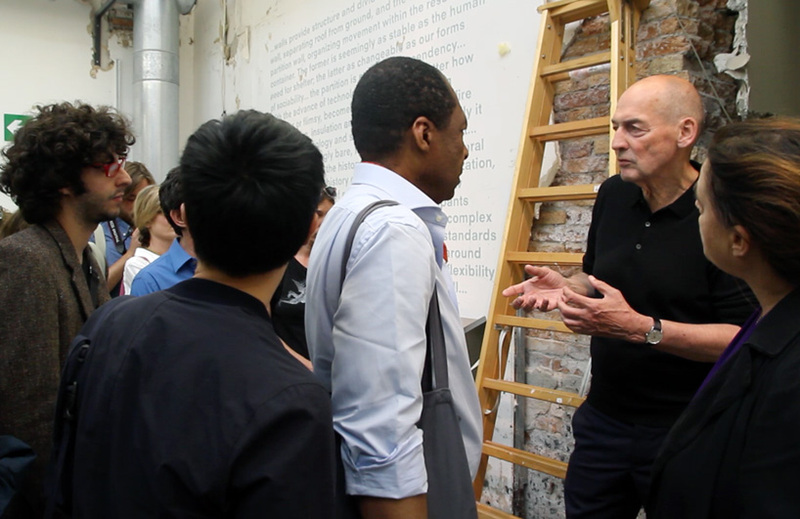 ‘architecture today is little more than cardboard’, says koolhaas. 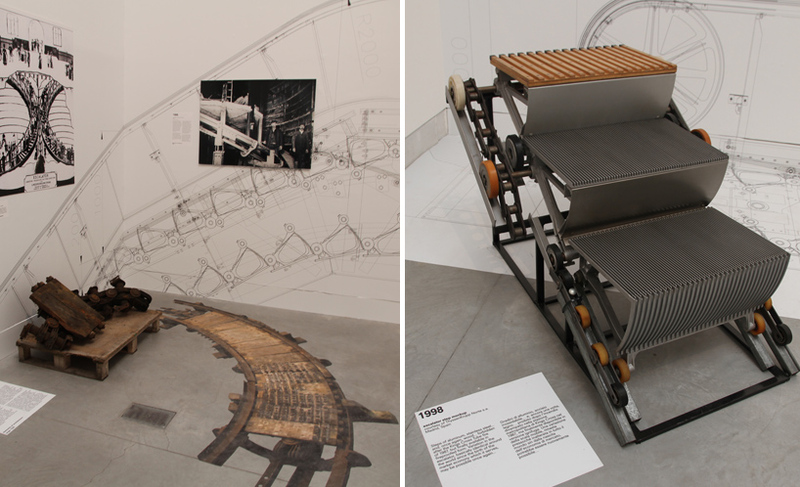 his ambitious and rigorous response offers a new perspective on individual elements through the reconstruction of each component – encapsulating the 100 year history of modernity. 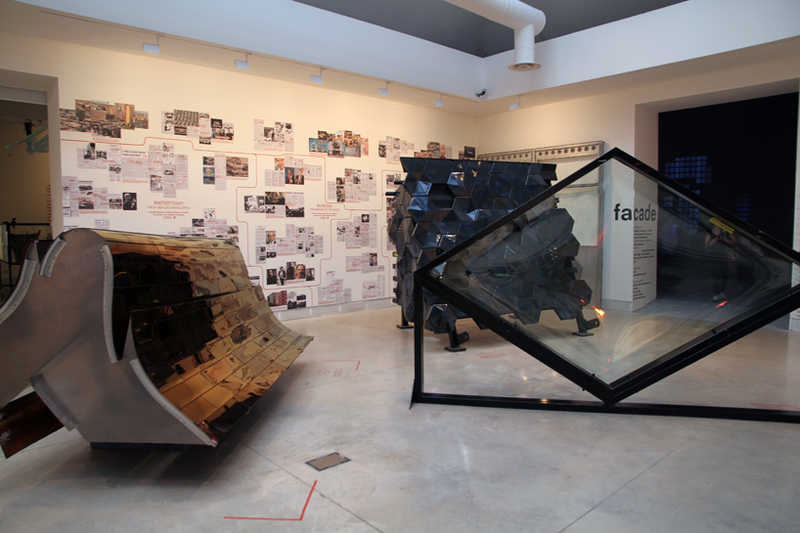 however, rather than a museum archive the vast display serves as a series of contemporary reference points, designed to encourage debate and open lines of dialogue between architects, clients and society. 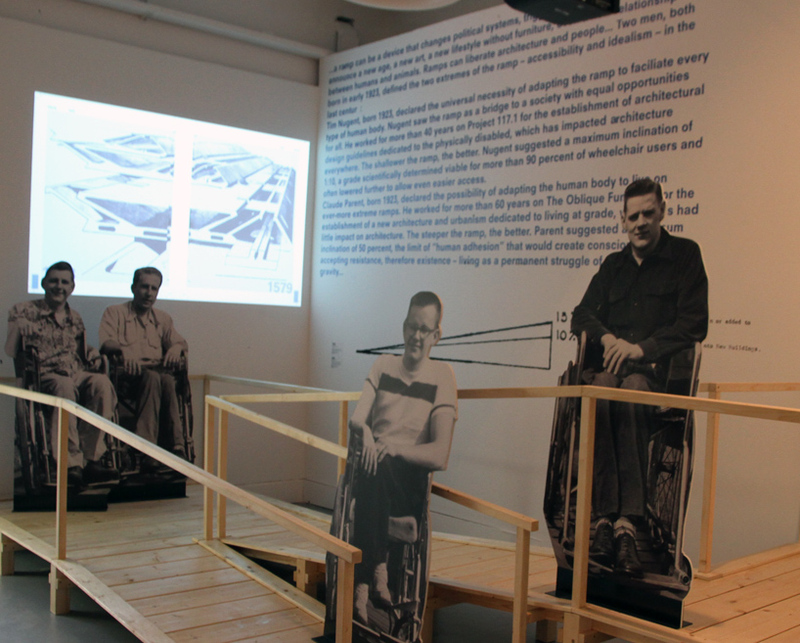 … and tim nugent, a US second world war veteran who campaigned for the universal implementation of accessibility ramps, defining the dogma of risk-averse building regulations. 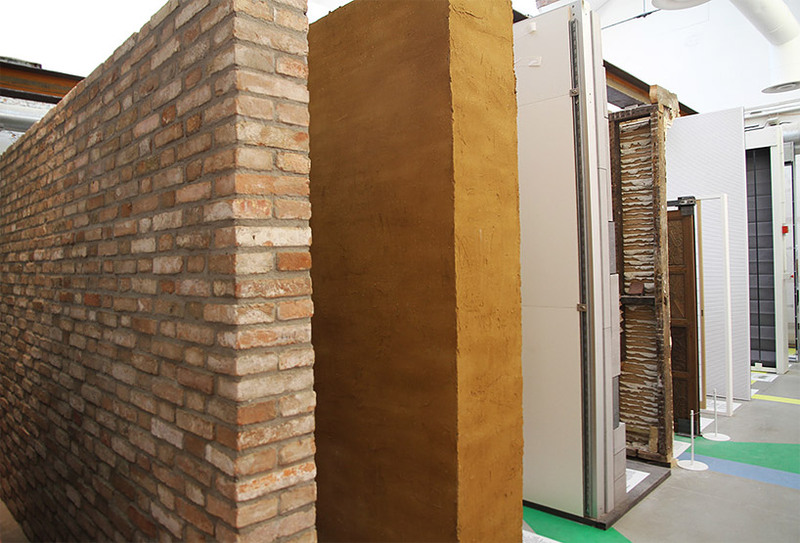 a kinetic wall by barkov leibinger is part of the ‘wall room’, illustrating the historical evolution of wall making (stone, brick, wood, glass partition etc.). 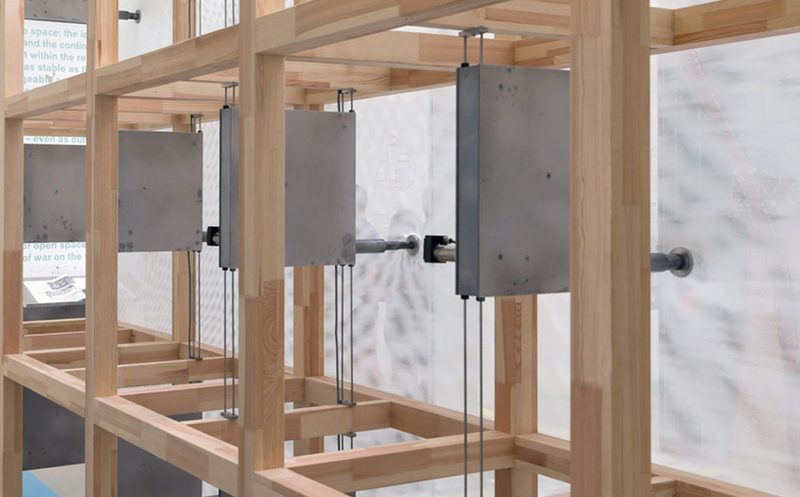 movement is here activated by a series of motorized points which extend and retract with a digitally controlled choreography. 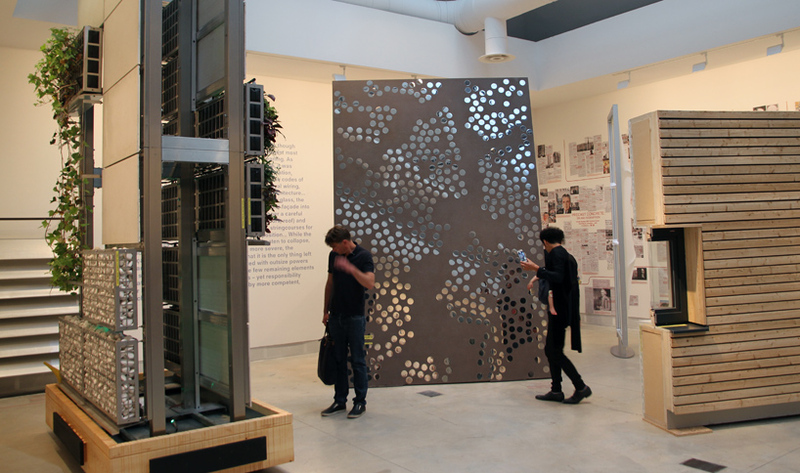 the movement transforms the exhibition visitor’s corridor between the kinetic wall and the adjacent (glass) partition wall into a differentiated arch-like space. 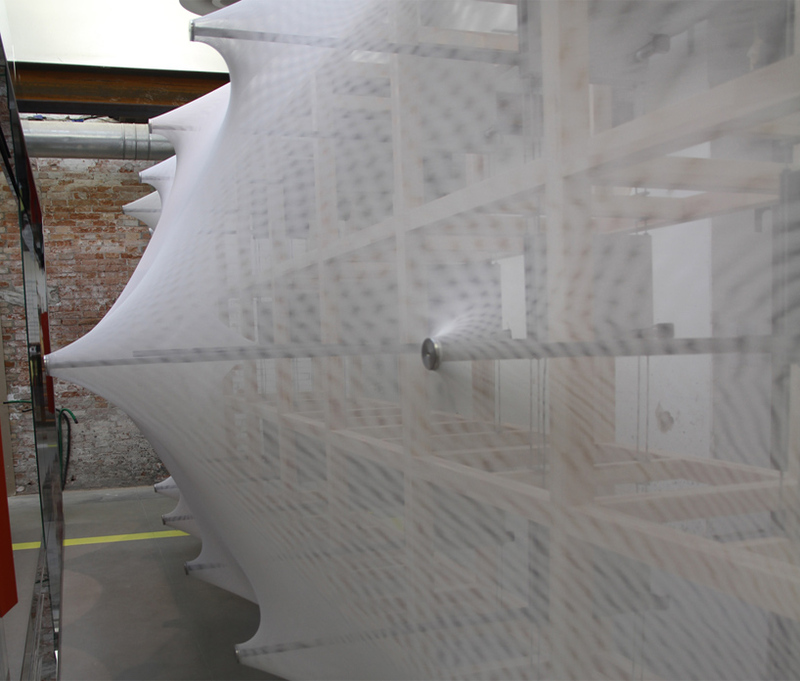 the limited and changing width of the passage ensures an immediate, intimate, and corporal relationship with the viewer. 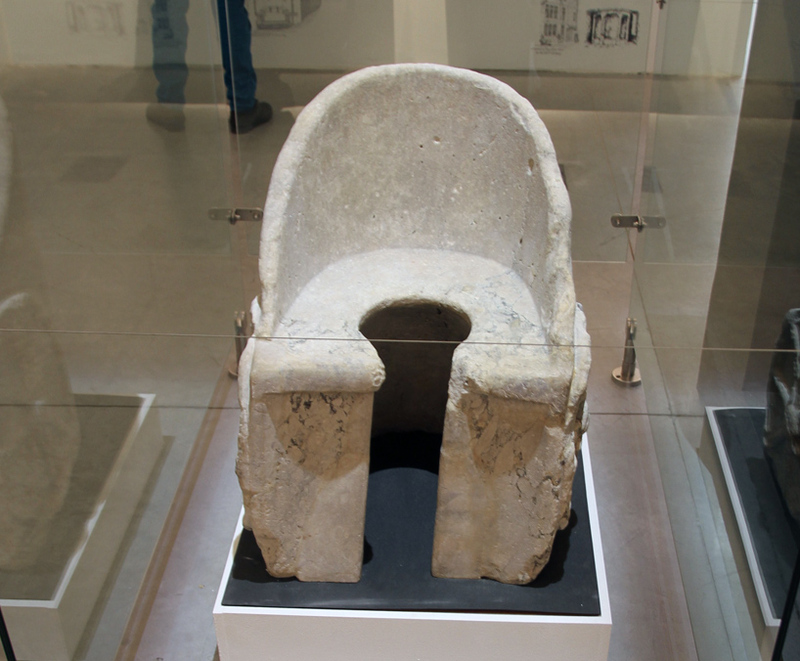 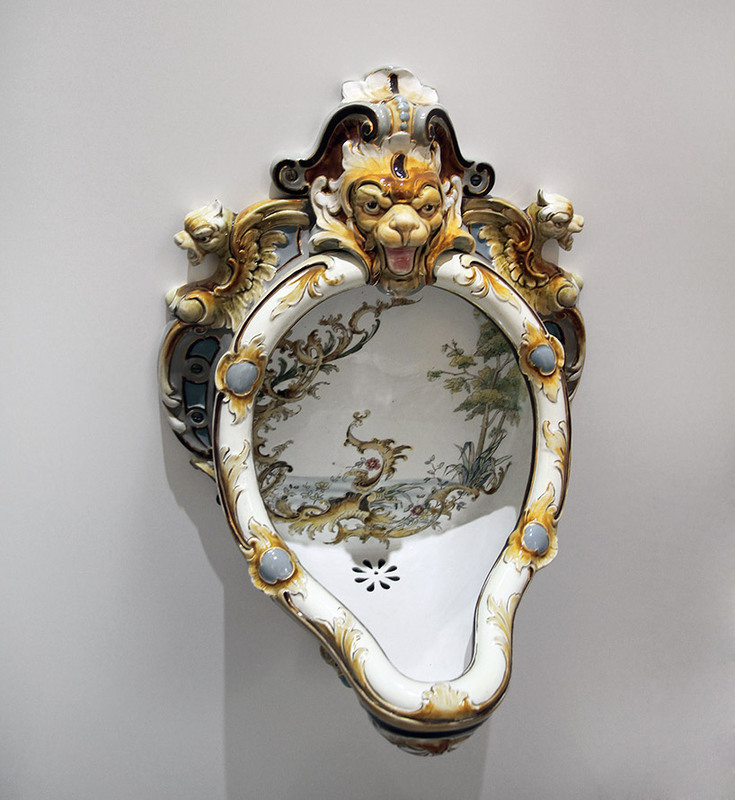 with a lineup of lavatories from a roman toilet to the latest japanese washlet. 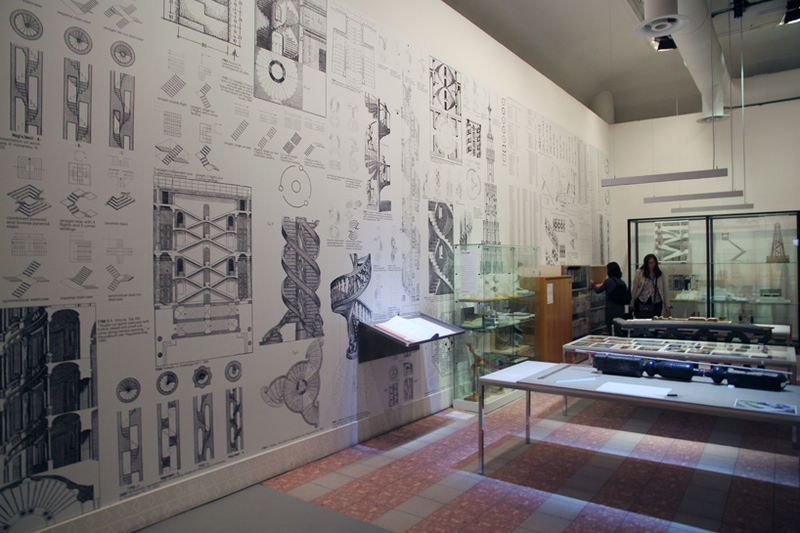 on the walls there are graphic diagrams, originally published in 1976 in a book called the bathroom by alexander kira. 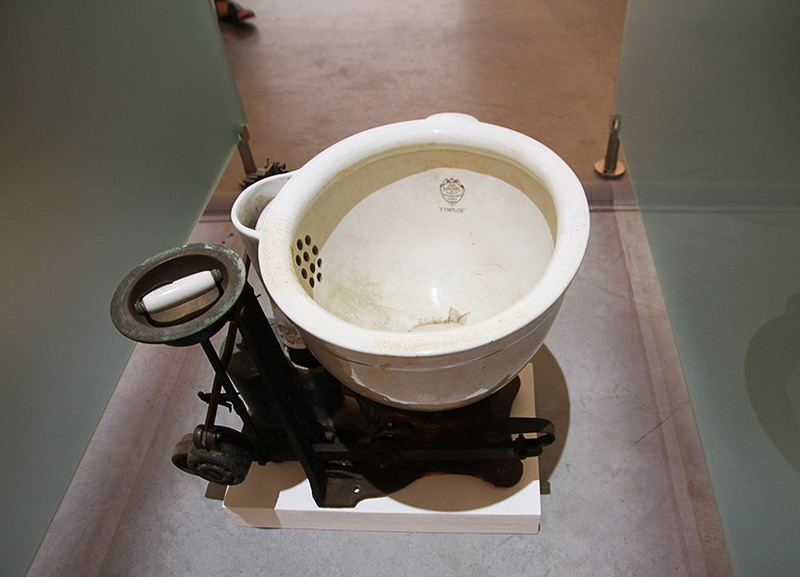 the bathroom is not exactly a hotbed of design revolution so many of his ideas are not only still relevant, but the ‘evacuation ergonomics’ still failed to revolutionise our most fundamental of bodily functions. 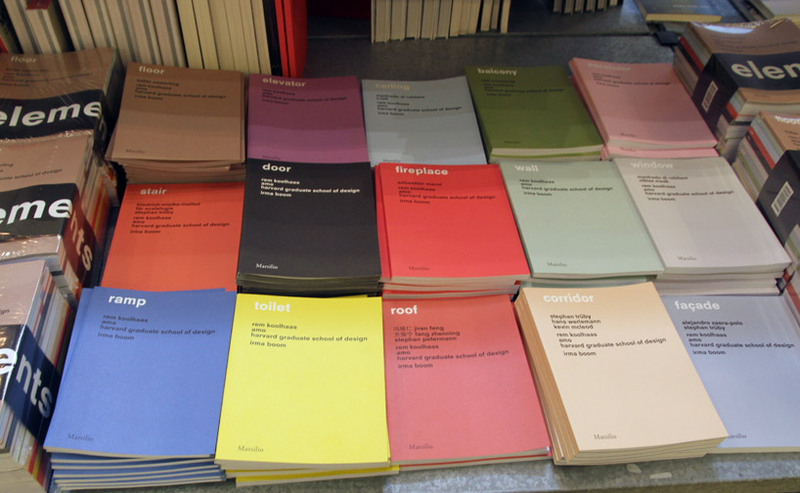 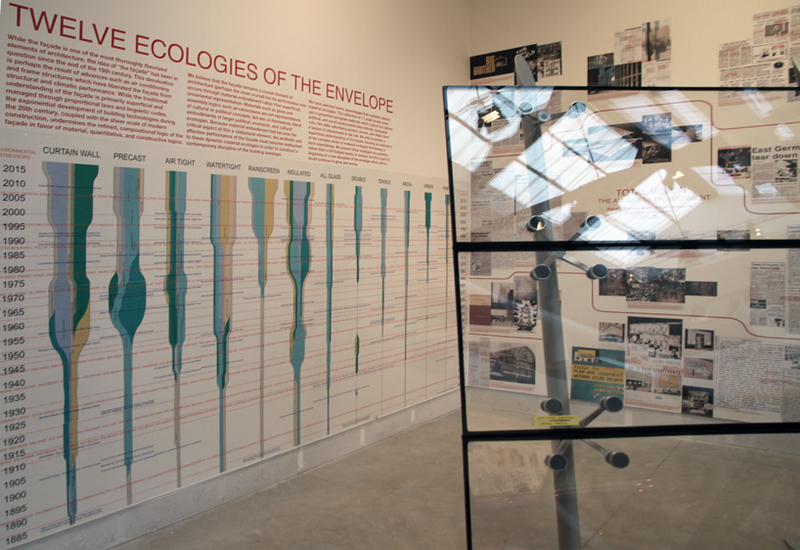 the exhibition is accompanied by a 15-volume catalogue of more than 2,000 pages, with short essays about the last 100 years of architecture and describes the evolution of architecture through its ‘essential elements’ – from the door and floor to window and wall – ‘domains over which architects have lost almost all control, zones surrendered to other professions.’ says koolhaas. 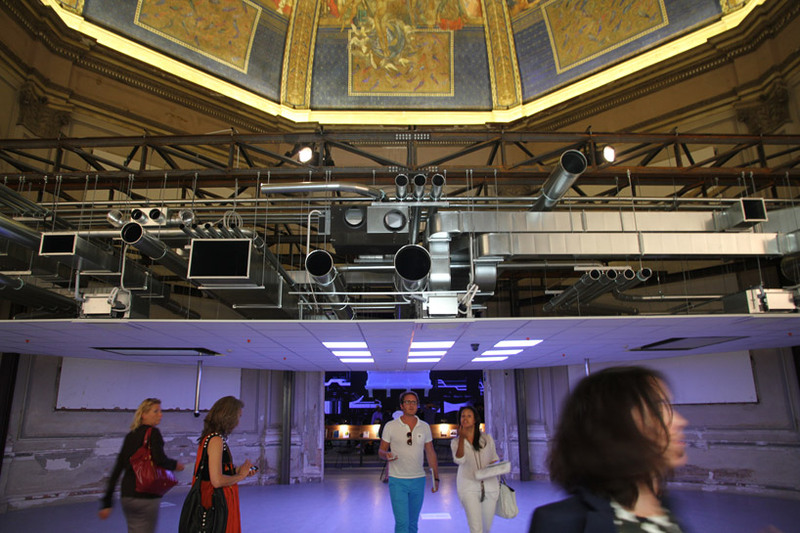 the 14th international architecture exhibition runs from 7 june to 23 november in venice. 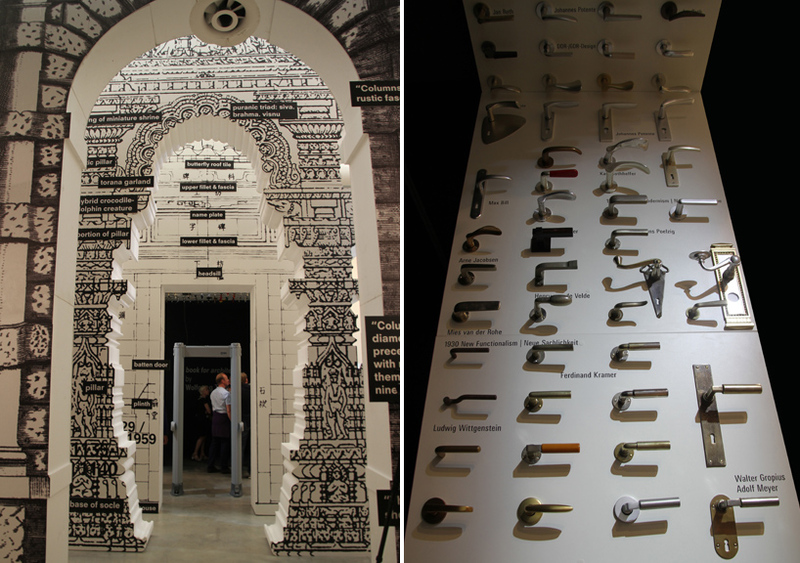 see designboom’s live and ongoing coverage from venice here. 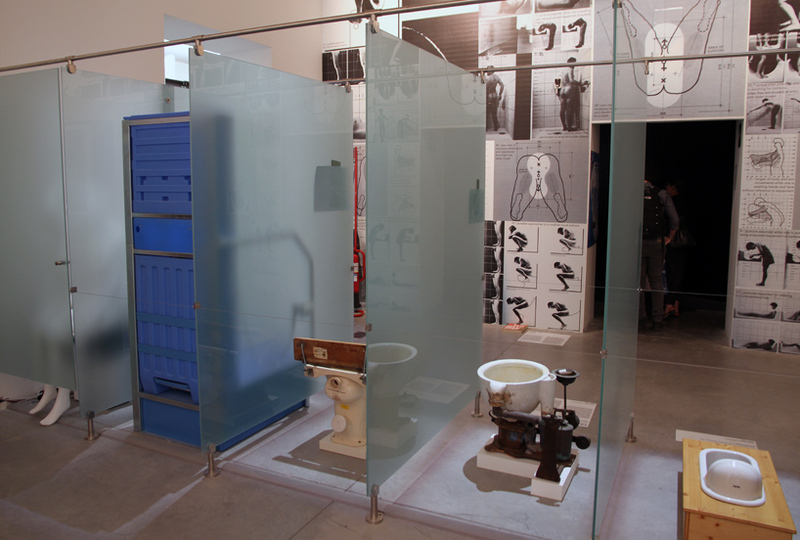 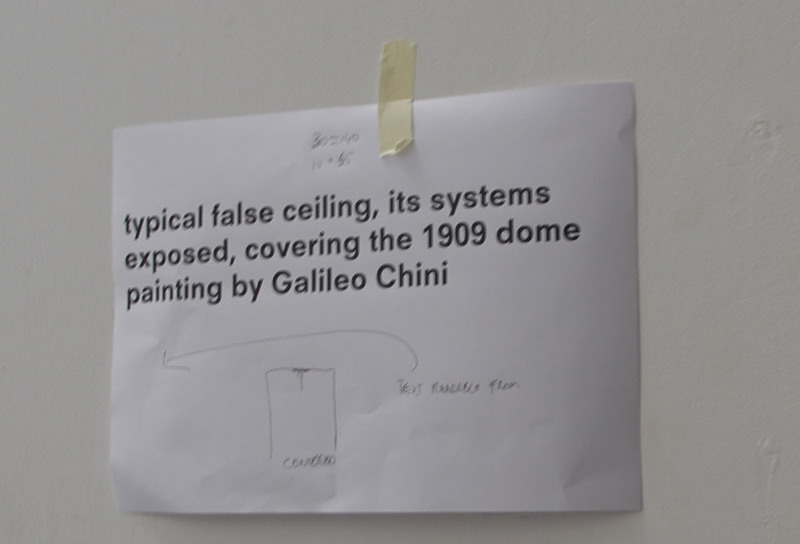 Should be called “assemblies of architecture” but who’s to quibble… lots of fun to be had and of course that toilet room will be the hit of the Biennale!